Once you build a service infrastructure around food in general, why not go into every direction? Here’s an amusing thought: What if, a few years from now, restaurants are getting their ingredients from Amazon Whole Foods for Business and deliver meals to their customers through Amazon Restaurants (or Amazon Whole Foods Restaurants)? Hence, two companies have to at least adress Amazon in talks with investors for their upcoming IPOs: Mealkit company Blue Apron and restaurant meal delivery company Delivery Hero. Blue Apron is only operating in the US right now. Meal kits are a natural extension/add-on to delivering groceries traditionally. Delivery Hero is active in 40+ countries, not just the US. But the strongest markets are Western countries; as in, markets where Amazon operates as well. Still, Whole Foods is purely a US story. Amazon will have enough on its hands transforming this US store chain alone. The international approach for Amazon is still the biggest question here. Will Amazon management go on a shopping spree for European grocery chains this year or the next one? Maybe, but it sounds unlikely. If anything, everybody outside the US got a warning shot and time to prepare. […]this story hasn’t exactly played out just yet, it’s not a stretch to think what Amazon could do with hundreds of nodes with fresh ingredients in areas that are Blue Apron’s sweet spot. In the wake of the Amazon-Whole Foods deal, Blue Apron executives have already been tweaking the message, according to a person familiar with the matter. Blue Apron’s management plans to stress that its business model is different from the basic grocery delivery currently offered by Amazon’s Prime service and Whole Foods’ partnership with Instacart Inc., said the person, who asked not to be identified because the details are private. Executives want to convince possible investors that its tailored recipes and prepared ingredients add value, said the person. The Amazon deal is especially pertinent to Blue Apron because the New York-based startup appeals to a similar customer base as Whole Foods: The top-10 percent of households by income, according to Kurt Jetta, chief executive officer of retail and consumer analytics provider Tabs Analytics. Management also plans to point out that the so-called total addressable market in the U.S. still provides opportunities for growth, the person familiar with the matter said. Only about 1 percent of grocery shopping in the U.S. is done online., while Blue Apron said in its IPO filing that its market penetration in the U.S. was just 0.7 percent in the fourth quarter of last year. This is very important because meal-kits is a model that only works great at scale. Blue Apron updated its prospectus to price its IPO between $15 and $17 a share, which would translate to proceeds as high as $510 million. Berlin-based Delivery Hero, meanwhile, plans to raise as much as €996 million ($1.1 billion) in an offering priced between €22 and €22.5 a share. Of the two companies, Delivery Hero has less to worry about for now because Whole Foods stores are primarily located in North America, with just nine in the United Kingdom. But Amazon tends to export its new business models abroad and could easily buy a grocery chain or restaurant-delivery company in Europe. 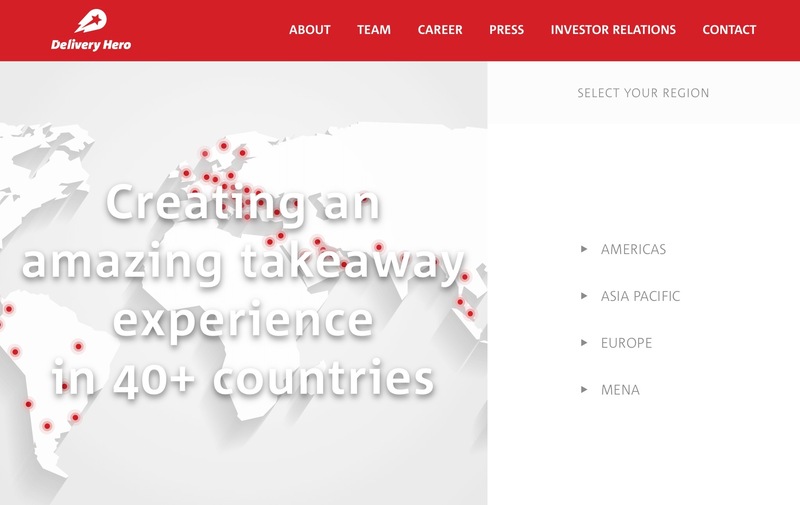 According to Reuters, Delivery Hero is pricing its IPO in the upper half of its price range. Delivery Hero being not that spooked by Amazon, again, makes sense. But the company still needs an answer to Amazon Prime. In 2015 I wrote “How The Prime Cross-Subsidy Model Could Eventually Lead To A Fight between Amazon And DeliveryHero“. I have yet to see how Delivery Hero and similar delivery companies would fight that. If anything, Amazon-Whole Foods makes that into an even more pressing matter. 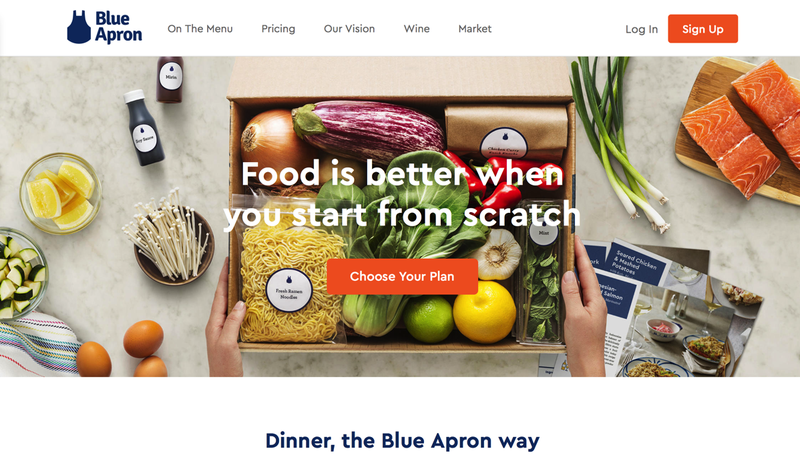 Blue Apron said on Wednesday it expects its initial public offering to be priced between $10 and $11 per share, down from its previous expectation of $15 to $17 per share. The new pricing range implies a valuation of up to $2.08 billion, compared with $3.2 billion earlier.